Location: 1515 SE Monroe St., Topeka, Kan.
On May 17, 1954, the Supreme Court issued its ruling in Brown v. Board of Education. 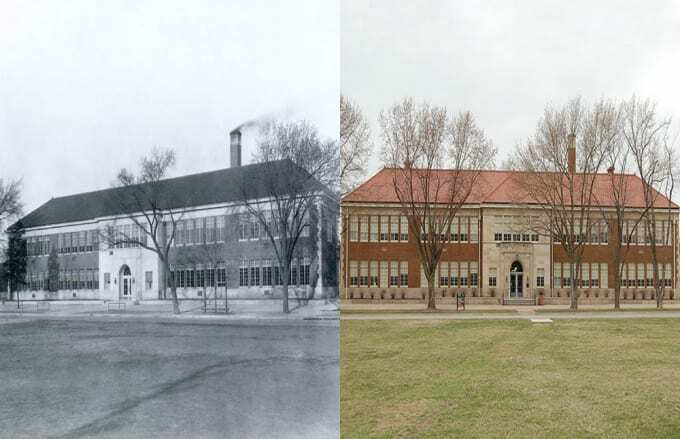 The landmark decision stated that the segregation of schools was a violation of the 14th Amendment, and of the four segregated elementary schools for black children in Topeka, Monroe Elementary School was the newest. The school closed in 1975 due to declining enrollment, but remained privately owned for 15 years. In 1990, owner Mark A. Steuve announced his decision to auction the building off. The Brown Foundation swooped in, and the Trust for Public Land purchased Monroe in 1991. President George H.W. Bush signed legislation to make the school the Brown v. Board of Education National Historic Site in October of 1992. In December of 1993, the title was transferred to the National Park Service.